VATICAN CITY – Vatican’s Archbishop Luigi Ventura, 74, allegedly ill-treated a junior official at a mayoral address to diplomats at Paris town hall on January 17. The city mayor’s office filed a complaint on 24 January and a judicial investigation opened the next day. Ventura has served as ambassador for 10 years. The allegations come amid a wave of sexual abuse accusations in the clergy. It is traditional for ambassadors to attend the Paris mayor’s New Year address to diplomats, religious leaders and civil society figures. 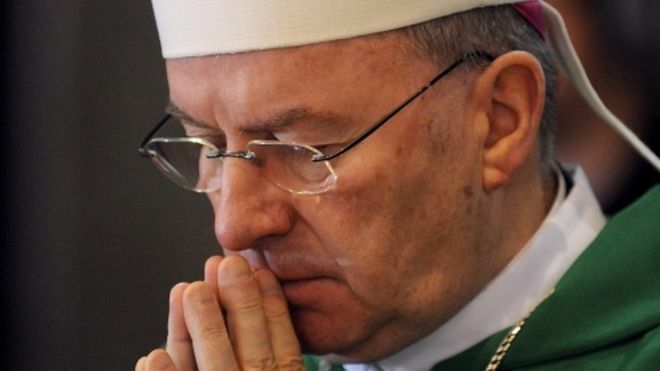 According to Reuters, a City Hall official said that Archbishop Ventura “caressed in an insistent and repeated manner” the buttocks of the young man who welcomed him to the event. Last week, Pope Francis acknowledged sexual abuse of nuns by priests and in December two cardinals were demoted following abuse allegations. Archbishop Ventura’s representatives have declined to comment on the allegations.